Smooth dimpled skin over the holidays. If you are a food lover like I am, then you may want to add these 4 easy steps during the holidays to keep dimpled skin at bay. 1. Flush it Out: Drink lots of water. Make sure that you drink 8-10 glasses of water a day. Jazz it up with natures natural diuretics, such as a wedge of lemon, a splash of unsweetened cranberry or tart cherry juice and a pinch of basil or mint. If you make a pitcher in advance of room temperature water and add some cucumber and mint to it, you may be more apt to drink it. Tip: Drink a cup of warm lemon water before breakfast and after dinner. 2. Don’t go hungry: Fill up vegetables with every meal. If you load up on vegetables you are less likely to eat starchy carbohydrates which can bloat your tummy or add on extra pounds during the season. Keep sliced vegetables ready to grab in the fridge. Make a few light dips, I use Knorrs to make a vegetable dip with greek yogurt or a tzazitki dip made with greek yogurt, seasalt salt dill, pressed cucumber juice and lemon. Tip: Snack on apples with small handful of almonds or coat almonds with cinnamon or cocoa powder. Other good snacks are a hard boiled egg, or a slice of cheese and some grapes. 3. Be your own masseuse: Brush and knead your skin. Take a natural bristle brush morning or night (or both is even better) and from the ankles to the waist line, brush your skin gently about 3 times on each area. Next from the hands work towards the shoulders and down the chest. Always dry brush in the direction of the heart. This process awakens circulation and removes dry dead skin. Then with your favorite skin oil or body cream massage the product into cellulite affected areas, and smooth away the dimples. I use Bare It Oil. Tip: Use a vibrating massage tool/brush such as TriDermislide instead of your hands to work deeper into the skin. 4. 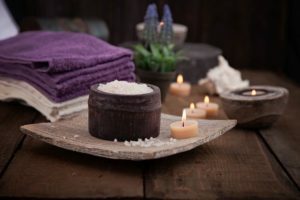 Take a bath: Make your bath a spa experience, Put some Diva Mineral Soak or epsom salts (about a cup) in a tub filled with warm water, then light a candle, dim the lights and soak. The magnesium is a great muscle relaxer and can help prepare the body for sleep. When you are finished the bath, and before you get out, run the cold water and quickly splash your body. Spas call this, “contrast therapy” and it is used to rev up the bodies metabolism. Tip: When drying the skin with your bath towel, hold both sides of towels with your hands and vigorously massage the legs, torso, and back with side to side sweeps as this exfoliates the skin. Adding on this simple 4 tips will help keep you toned this season. The surprise is that you find you don’t over indulge on the holiday foods as you may have otherwise. Enjoy! Shed your skin with fall exfoliating tips. Exfoliating renews your skin and adds a healthy glow. Regular exfoliation occurs daily without you even knowing it. Every time you cleanse your skin, you remove dead skin cells. Just the action of drying the skin with a wash cloth or towel helps shed away old cells. Turnover of skin cells occurs naturally each month although the process can slow down as we age. 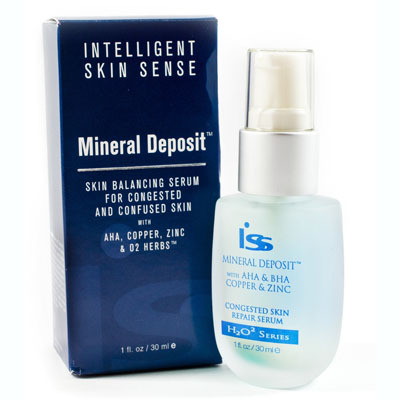 When there is an over accumulation of dead cells, the skin looks dull, and accentuates skin imperfections. Exfoliation helps the skin immediately look more youthful by evening out the skin tone and adding a fresh glow. You will notice that your products absorb better, your overall complexion appears brighter, and, if you wear make-up that it glides on smoother. If you live somewhere that has seasonal changes, you should take advantage of even keeled weather to do deeper peels and exfoliation techniques. In the Northeast, Spring and Fall are the best times to gain momentum with your exfoliation routine. With lots of summer sun, and the air conditioner going strong, the skin is more susceptible to irritation and during the winter, the weather may be harsh from strong cool winds and indoor heat and you may notice your skin is more sensitive. So use common sense to determine the right time for stronger peels . To create a radiant, smooth complexion there are a few tricks of the trade. Lighter exfoliation that can be done daily is adding a wet piece of cotton to remove excess cleansing agents each time you wash your skin. This helps remove flaking and dead skin cells. A few times a week when you cleanse, use a cleansing brush on top of the moisturizer and there are many on the market from silicone brushes like Intelligent Skin Sense TriDermislide, https://intelligentskinsense.com/product/tri-derma-slide/ or bristle brushes that cosmetic companies provide. Even a hand held small child’s toothbrush can work. If you want a product to melt away the dead skin cells, look for one with alpha hydroxy acids (AHA’s). These lower your natural pH of the skin causing a light peeling effect and best used at night when the skin is resting and not exposed to the sun. You an schedule a spa facial and ask for an AHA peel which is stronger than the home product. Make sure to find out how to maintain your skin after the treatment. Microdermabrasion is another spa technique that has a suction wand that moves across the skin and exfoliates the skin. This is good to do once a month and follow the estheticians advice for aftercare.